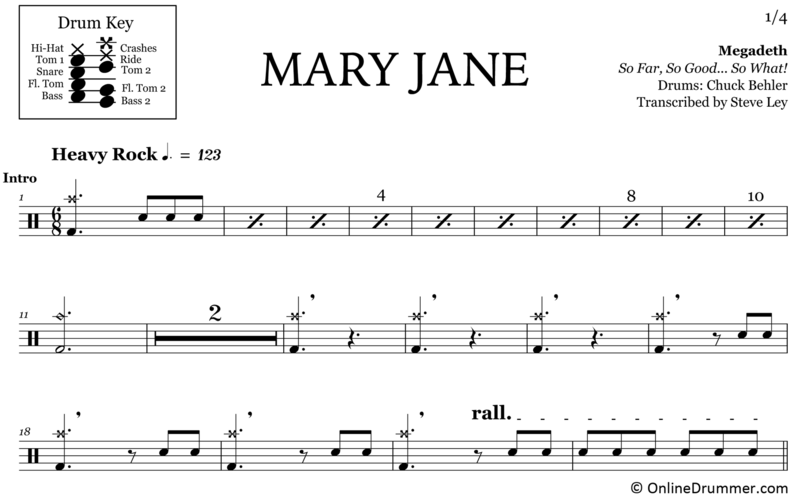 The full drum sheet music for “Mary Jane” by Megadeth from the album So Far, So Good… So What! (1988). After the completion of the ‘Peace Sells… but Who’s Buying?’ tour, original Megadeth drummer, Gar Samuelson was fired and his role in the band was filled by his drum tech, Chuck Behler. Compared with his jazz/fusion trained predecessor, Behler’s drumming is straightforward, clean and tight. 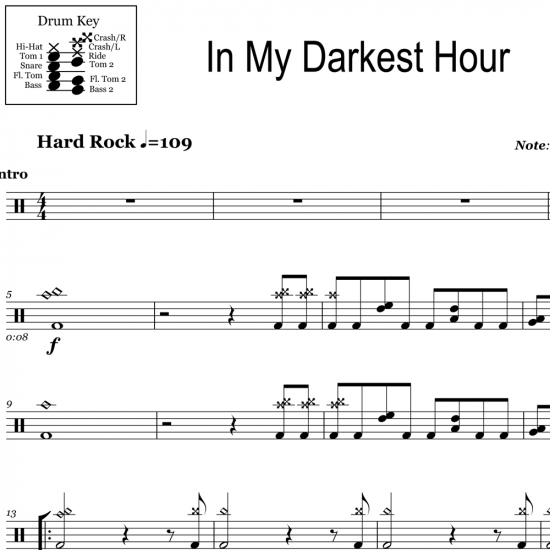 He focuses on anchoring the tempo and bolstering the guitar riffs through his choice of rhythms and fills. 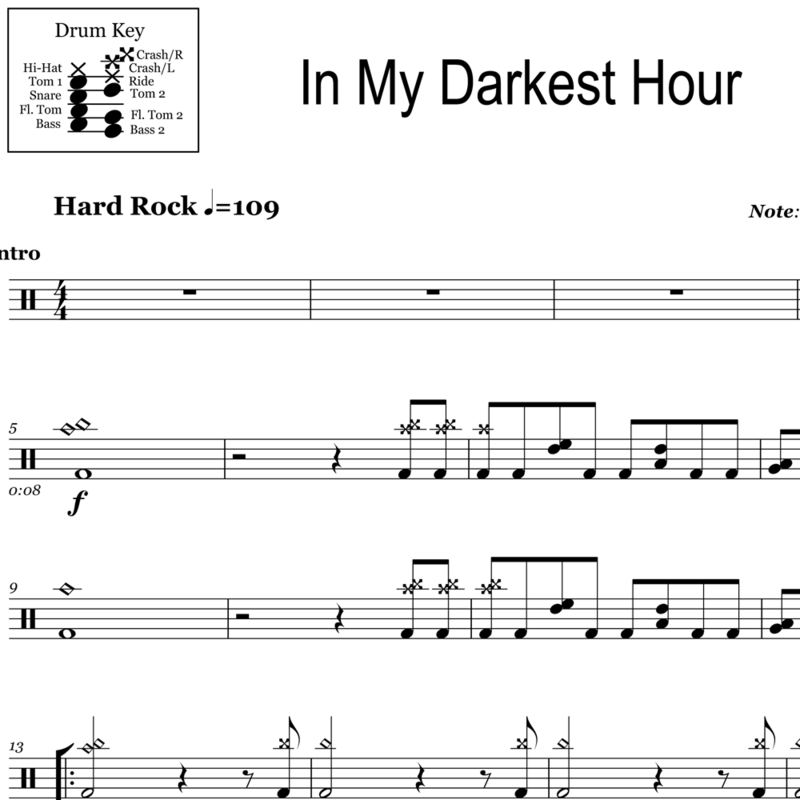 The full drum sheet music for "In My Darkest Hour" by Megadeth from the album So Far, So Good ... So What! (1988).